YouTube. Is there any business owner today who has yet to hear of this lucrative marketing platform? YouTube is commonly seen showcasing homemade videos—from kids playing to teens showcasing their talents. Nonetheless, YouTube has become a powerful, even indispensable marketing tool both for small businesses and multinational corporations. Traditional marketing methods still do provide some good results, but if you want to achieve success faster and easier, YouTube marketing should be your strategy of choice. If you are still not convinced, then read on; you might be finally swayed once you get to know the sensational benefits of YouTube marketing. Presenting great product pictures or service gallery can certainly be enticing, and offering information and tips through articles can indeed reward you with followers. However, both will take you quite a long time to gain the trust of your prospective customers. Through YouTube and your well-crafted videos, gaining followers and customers can take as quick as a couple of minutes. This may be attributed to the fact that they are able to see your face, observe how you act and have a glimpse at your personality. In a sense, viewers are able to know the real you, which consequently allows them to trust you easier. A regular brick-and-mortar store is generally open at specific hours of the day, not including special holidays or during turbulent weathers. Contrary, your YouTube channel is open to your viewers twenty-four hours a day, seven days a week. Through your videos, your customers may gain thorough knowledge of your business’ beginnings and offers. Any insider information, new products, or upcoming promotions will easily be shared with your followers. Even better, there is high chance that your video will be further shared and go viral, earning you fame and fortune. You might not exactly be catering to international customers, but with YouTube marketing, you can certainly garner great amounts of respect and a high level of popularity. YouTube is accessible to almost every part of the world. By producing creative, informative, and search engine optimized videos, you will get a chance to dominate search rankings (both in YouTube and Google) and even be featured by prominent local and international organizations. A business is not just about making money. While that might be the end goal for most of us, it’s worth remembering that starting a business is also about establishing relationships—deep bonds with those who patronize our business. With videos, you can easily do that and more. You can interact with your customers regardless if they are near or far and talk to them as if they are right beside you. You can answer questions clearly and even show your prospects exactly how things are done. More than the simple words you can offer if you use articles or emails, you can connect with customers and prospects on a deeper level with videos. 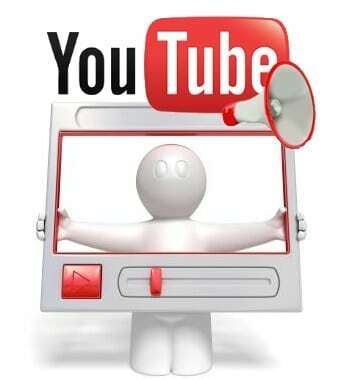 Unlike other online marketing methods, you can guarantee that YouTube marketing is free of charge. Creating an account is free, and as long as you do not violate any of YouTube’s rules, your channel will remain a strong marketing weapon for you. Even better, if you constantly upload original content, you will be eligible for a YouTube partnership, which can give you another revenue stream and a host of better branding features. YouTube might seem merely a source of entertainment for the regular folk, but for smart businessmen and women, it is an indisputable path toward success. Jump start your journey to success by creating a YouTube marketing plan today.